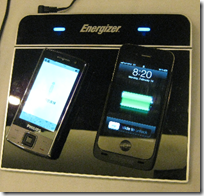 Wireless power at Mobile World Congress: no more chargers? 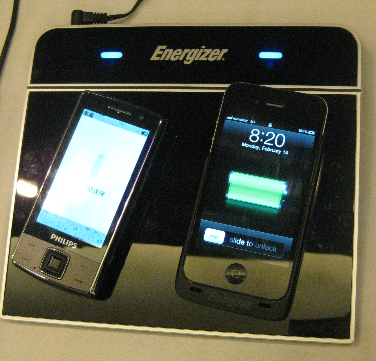 At Mobile World Congress Fulton Innovation was showing off its wireless power technology called eCoupled. We are accustomed to the idea of transmitting data wirelessly, but less familiar with wireless power. It is possible though, and I saw several examples. 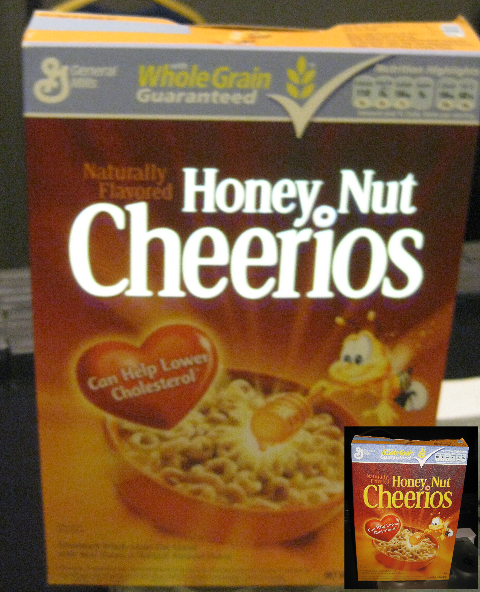 One of the most striking but least useful is this cereal box, printed with conductive ink, which lights up when placed on a special shelf – the inset image shows the same packet before the title lit up. eCoupled will one day integrate into the walls and surfaces of your home. If you’re watching the big game, the TV won’t need to be plugged in. Power will be delivered wirelessly via the eCoupled-enabled wall. In the kitchen, a multipurpose countertop will allow you to mix, chop, blend and boil all on the same powered surface. There will be no cords to plug in, or outlets to worry about. The technology allows data transmission as well, so the glowing cereal box can also report when it has passed its sell-by date. Now that might actually serve a purpose.